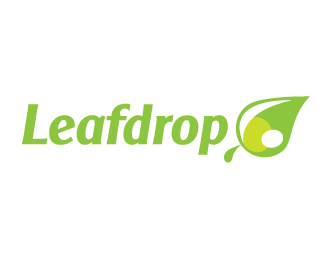 This logo stands for 2 water drops that also looks together like a leaf shape. Leafdrop is a logo which can be fitted for multiple categories. However this is actually made for a tea company with a refreshing and hip look, but could also be used for any healthy beverages for example maybe for aloe vera beverages. But it could also be used for any eco company which have to do with green liquids, however it can also be used for any green soaps. This logo got a very 3d look done by using a gradient mesh making it possible to have the colors blending over each other in a nice way. But because of the gradient it means the print might not be easy in all the methods, that why this logo also have a special two toned design which can be easily printed with all print methods. The logo is available and can be bought at IncSpring, other possibility is to email me and ask for this logo and also this logo can be edited futher for your likings.